Polished 14kt two-tone gold diamond-cut mariner's cross pendant has a textured surface. Item measures 1 1/16 inches wide by 1 1/2 inches tall without loop and bail. 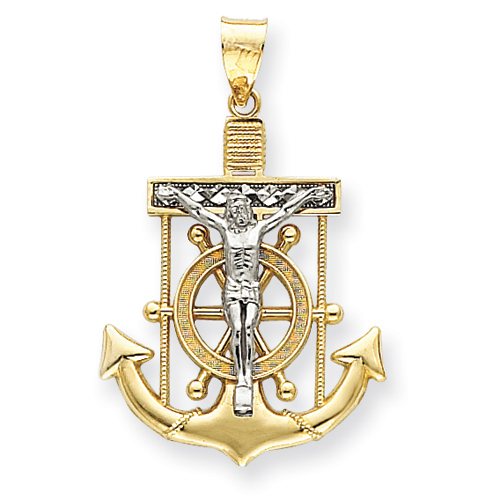 Shaped like an anchor, the mariner crucifix reminds us that Christ is our anchor, our hope. Weight: 4.65 grams. Made in USA.